Uttar Pradesh Subordinate Service Selection Commission (UPSSSC) has released the recruitment notification for 2059 Subordinate Agriculture Service (Class III) Technical Assistant Group C Posts. Interested and eligible aspirants can apply from 21st July. Candidates those who are interested to apply for UPPSC jobs can proceed to apply online through UPPSC official portal, uppsc.gov.in. The last date to apply for UPPSC Group III posts is 25th August 2018. Applicants can make the changes in their application before 30th August. Only online applications are invited from the suitable aspirants. Candidates can go through the article to check UPPSC Group C eligibility criteria, application process, selection process, pay scale and other details from this article. Uttar Pradesh Subordinate Service Selection Commission is the state government organization that monitors various operations. 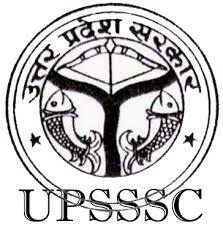 Many of the organizations in the state of Uttar Pradesh are affiliated to UPPSC. The organization annually releases various notifications to hire the suitable aspirants. This year the organization has released a notification for 2059 Subordinate Agriculture Service (Class III) Technical Assistant Group C Posts. Candidates having the suitable eligibility criteria can apply for the posts through online before 25th August. Selection of candidates will be done through written test and interview rounds. Candidates seeking to apply for UPSSSC Group 3 posts can check the further details from the following article. Name of the Recruitment Board Uttar Pradesh Subordinate Service Selection Commission (UPSSSC). Name of the Posts or Designation Subordinate Agriculture Service (Class III) Technical Assistant Group C Posts. Total Number of Vacancies 2059 Jobs. Advertisement Issue Date 21st July 2018. Initial Date to fill UPSSSC Online Application Form 21st July 2018. Closing Date for UPSSSC Online Apply & Payment of Application Fees 23rd August 2018. Last Date to Make Changes in UPSSSC Online Application Form 30th August 2018. Admit Card Release Date Updated Soon. UPSSSC Exam Date 2018 Notify Later. Name of the Category Notifications. Candidates must have the minimum educational qualification of Graduate Degree in any stream from any of the recognized university. Age Limit of the applicants must be in between 21 to 40 years. Age relaxation will be offered for reservation category candidates as per the government norms. Candidates will be shortlisted through the written test and interview rounds. Applicants can fee the application fee through online. Release Date of Advertisement 21st July 2018. Starting Date to fill UPSSSC Online Application Form 21st July 2018. End Date for UPSSSC Online Apply & Payment of Application Fees 23rd August 2018. Final Date to Make Changes in UPSSSC Online Application Form 30th August 2018. Admit Card Issue Date Updated Soon. Interested aspirants can apply through online on uppsc.nic.in from 21st July to 23rd August. The online application form will be accessible on the official website. Candidates can visit the UPPSC website and go through the complete details from UPPSC Group C Notification 2018 PDF for more details.